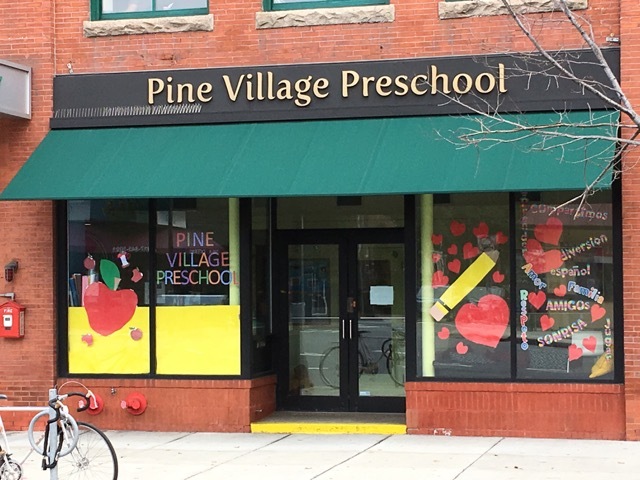 Opened in 2009, our Porter Square school is located between Porter and Davis Squares – perfect for families living in Cambridge or Somerville. Tucked into the historic Henderson Carriage House Building at 2067 Mass Ave. lies our Porter Square school. Minutes from both Porter and Davis Squares, it has convenient, safe parking for drop off and pick up in the rear of the building. Our Porter Square school has a wonderful large community room we use for large group activities such as yoga class and special guest visitors. Our community room is surrounded by five bright and fun filled classrooms specially designed for each of our four age groups. Hola! 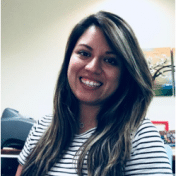 My name is Alejandra Huot and I have been teaching for ten years and am now the director at Pine Village Preschool Porter Square. I love teaching languages because they are the door that opens communication with the world. I believe that each child is a unique individual who needs a loving, caring, secure and stimulating atmosphere in which to grow and mature emotionally, intellectually, physically, and socially. Pine Village has become like my second home. I love coming to work and be part of the great community that is formed by the families, children and our team.